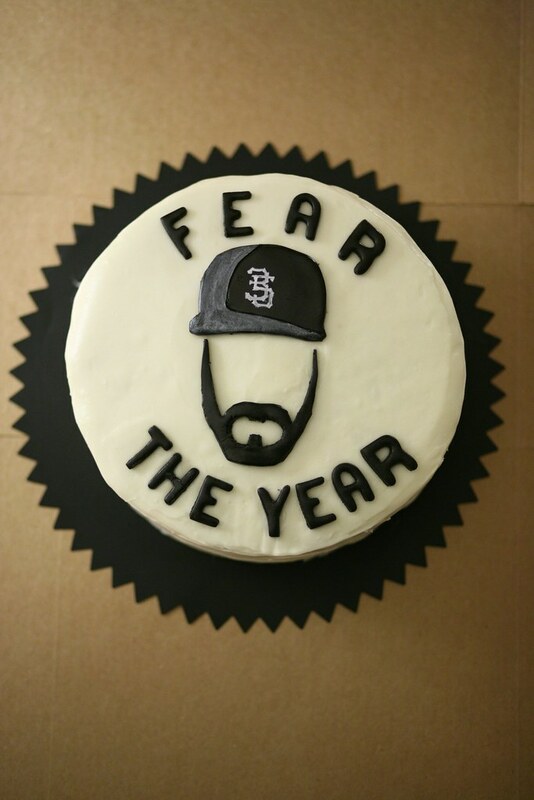 A Fear the Beard Birthday Cake! I got a special birthday cake request from Amanda, Alex's mom. Alex is the [almost] 2-year old boy that I nanny/babysit in the Marina. The cake was for Alex's dad, who turns 35 today! If you and I have talked lately, I've probably mention Alex because I HEART him and quite often quote him. Out of flattery, obviously, because he's adorable and hilarious. 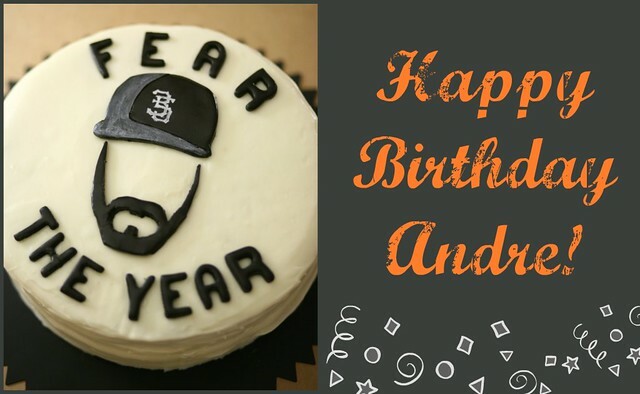 Since they are a Giants-lovin' household, and obviously fans of Brian Wilson, Amanda thought it would be fun to incorporate the beard somehow. 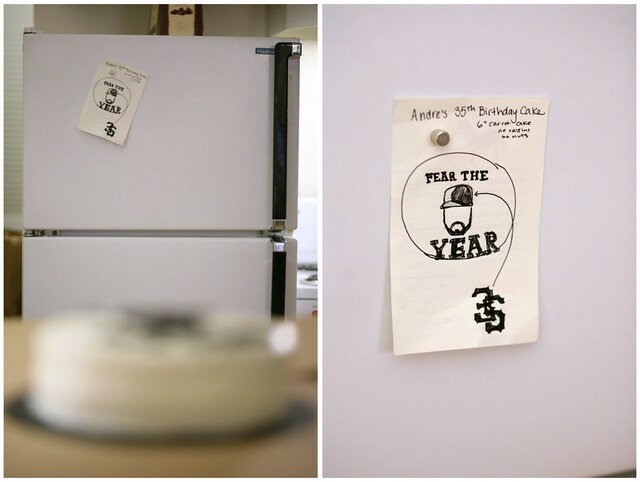 Amanda has had this picture on her fridge of Alex and his buddy (who I also watch sometimes, too!) with Brian Wilson taken last summer (I think). 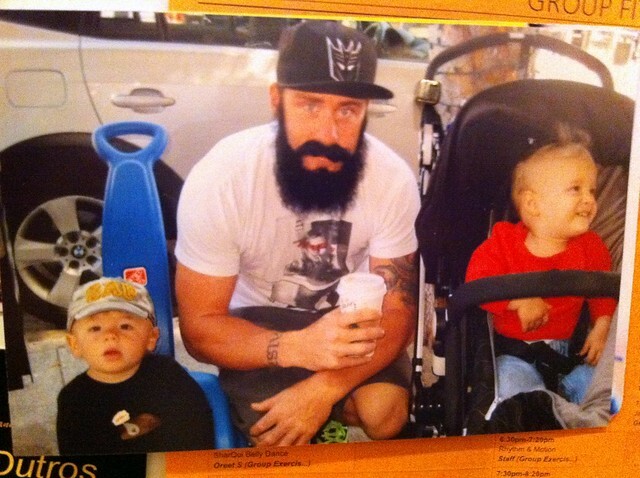 Best part of the photo (which you can't see so well here, unfortunately) is that his Starbucks coffee cup says "Señor". While I was on the 43 headed home, the perfect idea came to me and I did a quick sketch. 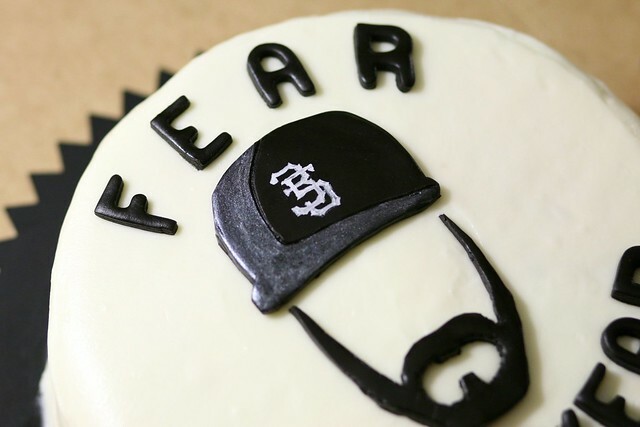 I would do "Fear the Year" and make a "35" in the same lettering as the SF logo. Done. Pretty sweet, huh? The cake is a Carrot Cake with Cream Cheese Frosting. Kind of appropriate to have some orange inside that cake, too. I also made some bite size cupcakes for Alex. 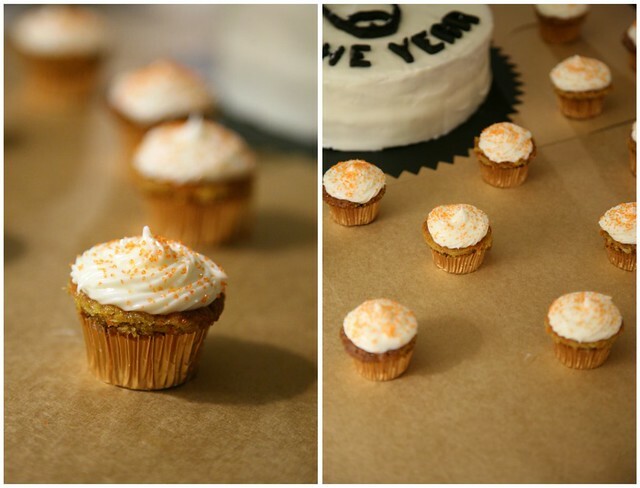 It was also an opportunity to put on some orange sprinkles. 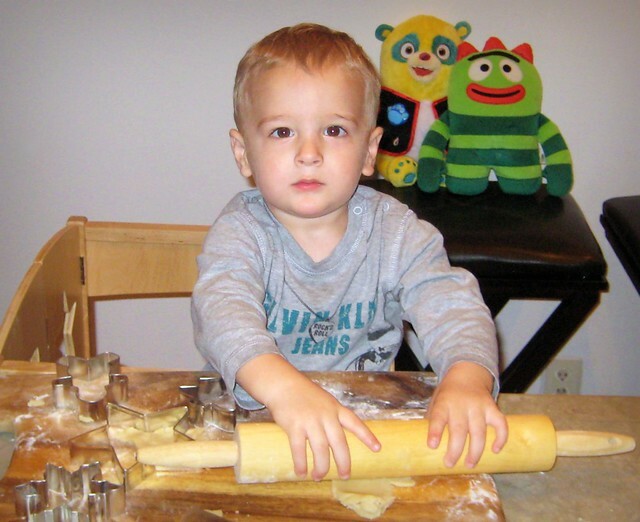 The little man is serious about his dough.